The Ducati Monster 821 sits pretty much at the bottom of the Ducati Monster family. It was intended to be as user-friendly as possible, but that doesn’t mean it’s slow or boring and should certainly not be overlooked. You get 112bhp from the 821cc V-twin, which is plenty to keep you interested, and there’s loads of low down torque to fire you out of corners or between traffic. The engine also forms part of the chassis like it does in some of Ducati’s flagship bikes and the 821 is light and forgiving, so perfect as a first big bike. There’s plenty of tech to keep you shiny side up, like three level ABS and the Ducati safety pack, but the main thing is that it’s great fun to ride. "This excellent condition, clean and well looked-after example of the positively superb 821 is supplied with both keys and full service history with all receipts and four Ducati stamps. "With only two previous owners and 7173 miles on the clock, the bike comes with all original owners handbooks/rider pack, tail-tidy, bar-end mirrors and brand new (first) MOT along with a three month warranty." 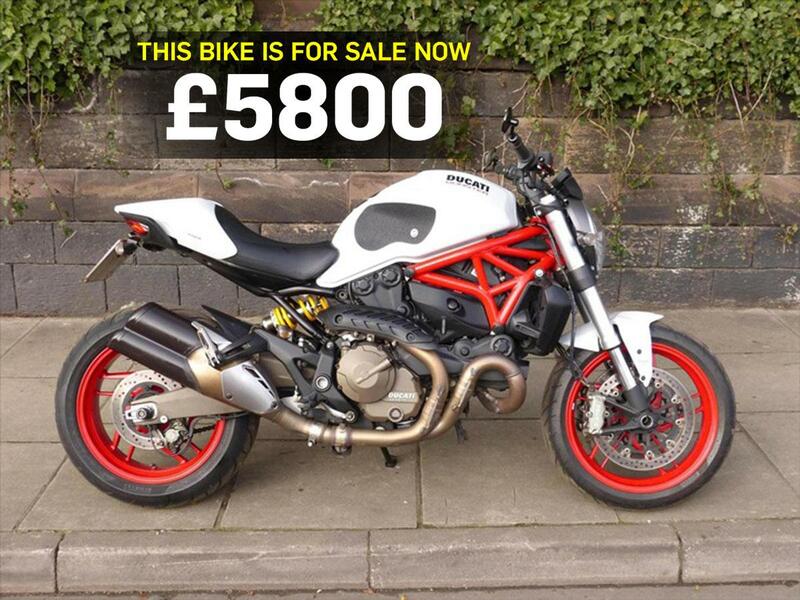 Find a Ducati Monster 821 for sale.